Co-chairs: Sokolov V.I., Sanginov S.S., Karlykhanov A.K., Orazkuliyev K.
The round table was opened by Mr. V.Sokolov, Director of GEF Agency of the IFAS, who made introduction to the problem area. Water is a quite unique essential substance, which determines economic, as well as social and natural welfare. For this very reason, for sustainable living and survival under conditions of demographic and climate pressures, water must be treated as a scarce natural entity ensuring human life and welfare rather than as one of natural-economic resources. The co-chair of the round table Mr. A.Karlykhanov, Head of Aralo-Syrdarya Basin Inspection for Water Use Regulation and Protection at the Ministry of Agriculture, Republic of Kazakhstan, expressed an opinion that water management, undoubtedly, should meet the needs of economic development but, at the same time, be in harmony with other needs in catchment territories and ecosystems. Mr. S.Sanginov, Deputy Chairman, Executive Committee of the Central Kengash for Environmental Movement in Uzbekistan, in his welcome speech underlined that economic values should not deprive people from the right to water for drinking, household needs, energy and food production, as well as for nature’s needs. This point should run like a golden thread through all present-day universal human moral values. Mr. V.Sokolov in his presentation underlined significant contribution that Uzbekistan has been gradually making to IFAS. Thus, at present, as part of ASBP-3 a Comprehensive Program for mitigation of consequences of the Aral Sea catastrophe, restoration and socio-economic development of Prearalie (coastal area) over 2015-2018 is underway. In February 2017, the President of Uzbekistan Shavkat Mirziyoyev approved the “Strategy of Actions in five priority development directions in the Republic of Uzbekistan over 2017-2021”. This document points to an urgency of adoption of an action framework for mitigation of the negative impact of global climate change and drying up of the Aral Sea, addresses development of agriculture and human livelihood. In this context, the President of Uzbekistan approved the State Program for development in Prearalie region for 2017-2021 that envisaged projects for the total cost of 8,422 trillion soums (US$2.4 billion). Special Fund for development in Prearalie region was established at the Uzbek Ministry of Finance for implementation of this State Program. 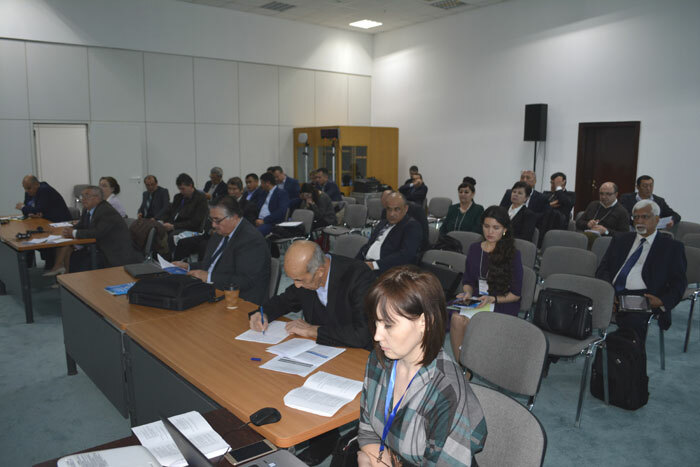 Mr. A.Karlykhanov in his speech demonstrated progress and results of more than thirty projects on rehabilitation of irrigation systems in the Syrdarya lower reaches and on stabilization of aquatic ecosystems in the delta and the Northern Aral Sea. Mr. A.Fozilov, Institute of Water Problems at the Academy of Sciences of Tajikistan, made his presentation, where he pointed to the key role of water infrastructure development for stable economic growth in the republic. Mr. S.Sanginov, Deputy Chairman of the Executive Committee of the Central Kengash for Environmental Movement in Uzbekistan, told that currently more than 8,500 NGOs, more than 11,000 community self-government organizations, 1,400 mass media units, hundreds of other civil society institutes, including about 100 environmental NGOs have been active in various regions of the Republic. Their activity in Uzbekistan is an important factor of protection of democracy values, human rights, freedoms and legal interests, including rights to favorable environment and access to water. Mr. K.Orazkuliyev in his speech briefly stated problems related to water management and protection and ways for their solution in Turkmenistan. 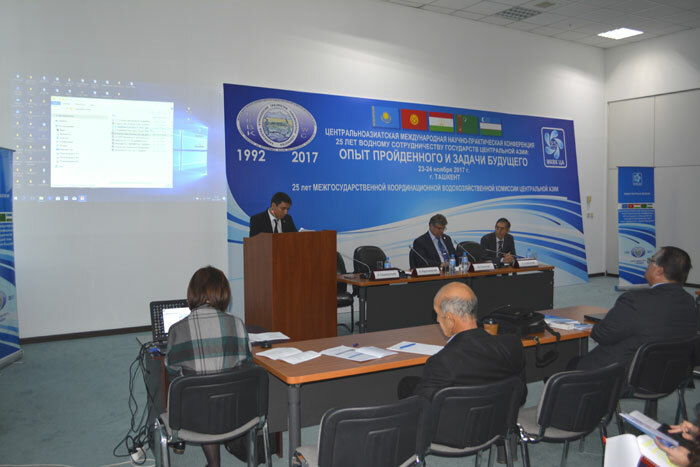 Mr. I.Makhmudov, Director of Irrigation and Water Problems Research Institute, in his presentation showed the critical value of stable water supply for lake ecosystems and described actions that Uzbekistan taken for preservation and development of such ecosystems. Mr. A.Akramkhanov from ICARDA Office in Uzbekistan demonstrated the results of key projects aimed towards better water and land productivity. 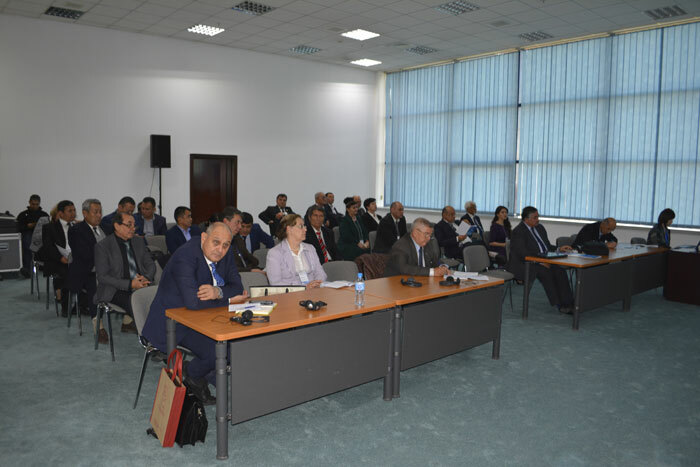 Mr. J.Kazbekov, EU-UzWaterAware Project Manager at CAREC showed the results of six meetings organized among Central Asian regional organizations with the support of CAREC. Mrs. A.Tabelinova, lecturer of Kazakh branch Lomonosov MGU, told the participants about an idea of consideration of certain consistent patterns in natural and anthropogenic processes that took part in three inland water bodies for elaboration of their ecosystem conservation strategy. The Central Asian states pay attention, also with the support of development partners, to protection and restoration of aquatic ecosystems, including restoration of the Northern Aral Sea in Kazakhstan, afforestation and development of a system of small water bodies in Southern part of the Aral Sea in Uzbekistan. At the same time, by 2030, the available freshwater per capita is expected to decrease in the Aral Sea basin in light of the declining water resources because of climate change and increased demands for water by growing population and national economies, including Afghanistan. further increase adaptive capacity of the country water sectors.